Lesbian, gay, bisexual and transgender (LGBT) Jamaicans are gearing up for their fourth annual pride in Kingston from July 31-August 6, 2018 and they need your help to stand up against the homophobia and transphobia they face in their daily lives. J-FLAG, the foremost LGBT organisation in Jamaica, needs your help to make this momentous occasion possible. 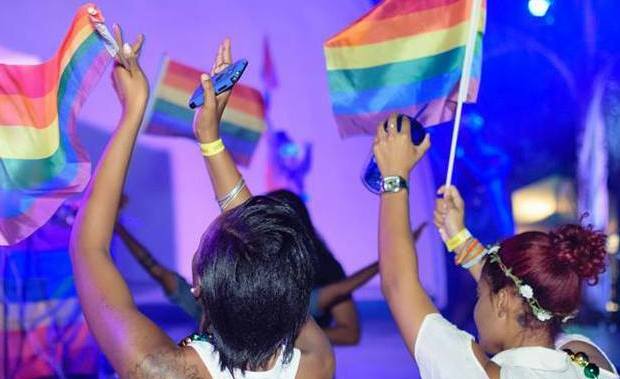 Will you help them raise 60,000 USD to host a successful pride for the Jamaican LGBT community to celebrate and build a sense of pride and belonging in being LGBT? Pride is an opportunity for LGBT Jamaicans to reflect on their journey, mark the strides, and chart the way towards a Jamaica where they are more respected, loved and accepted. We would greatly appreciate if you could make a donation. Your contribution will go a far way to bring the community together for another historic celebration as we continue to fight for greater tolerance for the LGBT community. Help us help J-FLAG provide a safe space for LGBT people in Jamaica to celebrate their pride. Every dollar you donate will help to make Jamaica a safer place for LGBT people. Contributions to this campaign will go to the Rustin Fund for Global Equality at Tides Foundation, which supports the work of LGBTI organizations working in low- and middle-income countries. We will recommend that proceeds from these donations go to J-FLAG.